VBS-HDMI-717HIFI är en speciell pryl för ljuddistribution. HDMI OUT pass through port. 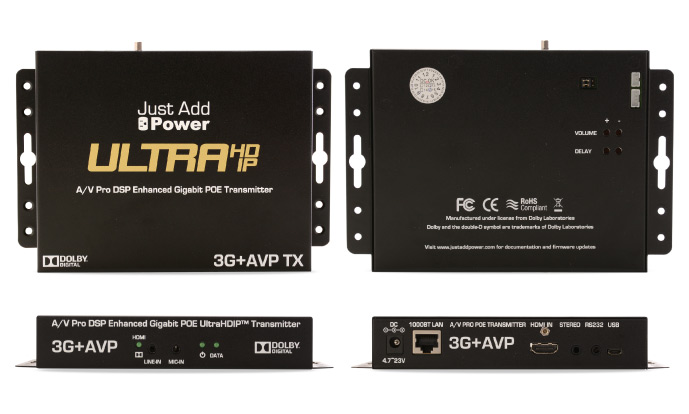 Works with a Layer 3 Gigabit Managed switch and existing 3G+AVP receivers to create any size of 4K-capabe / HDCP 2.2 HDMI matrix needed. 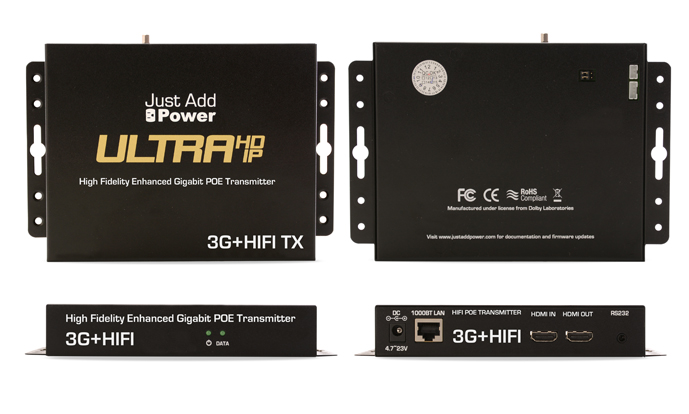 2160P UltraHD resolutions and HDMI 2.0 devices with HDCP 2.2 supported. Full HD and lower resolutions and HDMI 1.4 and lower devices also supported. All 3D video formats supported. Seamless HDCP handling- mix and match legacy HD monitors with new HDMI 2.0 monitors in the same network. Video wall support from 2x2 to 16x16 plus video walls in portrait mode supported. 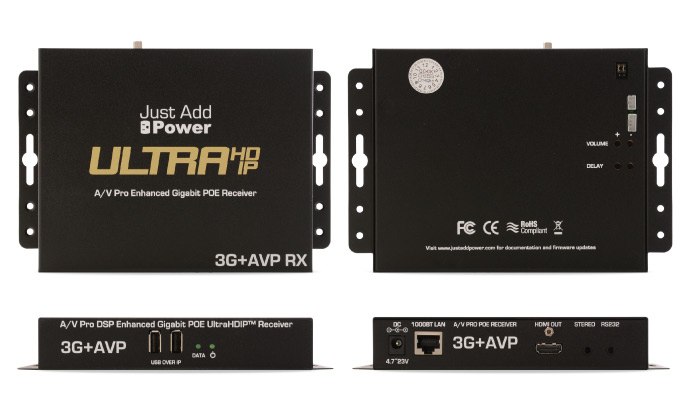 Control via RS232 or IP. IR Control of integrated sources and displays via new IR dongle.